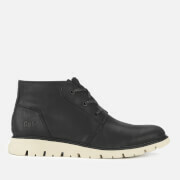 Men’s sneaker-style brown leather boots from Caterpillar. Crafted with full grain leather uppers, the ‘Ryker’ boots will develop a rich patina over time and will look better with wear. 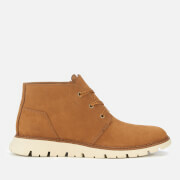 The boots are detailed with a padded ankle collar, gold-tone metal eyelets and lace hooks for a secure fit. 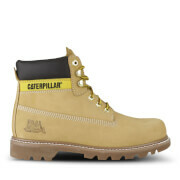 Set on a lightweight EASE midsole for shock absorption, the boots have a durable rubber sole with a textured outsole for added traction. Complete with a soft and breathable mesh lining to keep feet feeling fresh, contrast white stitching and signature branding to the heel and tongue.